I enjoyed the camaraderie among all the participants and even though we were on different competing teams we assisted each other along the way. The organisers of this event continuously challenge the participants and improve their event! Well done People! Keep up the good work! I hiked, run and walked the northern rage as far as Chaguaramas to Brasso Seco, also Manzanilla and walked through beautiful gorges due to fusion. Fusion Adventure Race lives up to its name. A true adventure to discover yourself, partners and nature. Keep up the good work. I was an NAAA athlete of the 70s. Haven’t done anything this physical in more than 15years. Feels Great to know I’m not a Relic ! It’s always good to be recognized as one of the oldest participants in the event. Thank you to Charles and the whole team of organizers. This is an amazing event. I truly appreciate all the effort given by so many to accommodate the runners. Thanks you! Having completed the three fusion lites, each one has motivated me to challenge myself with the next one to come. If one really wants to test their fitness level, then fusion is the race to do that. It may be a bit tough in the beginning, but that sense of accomplishment is worth the pain. This would be my 3rd year doing Fusion & although I feel I’m getting better it seems as though my muscles are getting weaker but i live the adventure & I love the thrill taking part has always been a memorable experience just by me know it is one of th most challenging Adventure race to part take in & I finish every year! I really love how all participants were supportive of each other. I was especially impressed with the organisation of the course, and the search and rescue team constantly patrolling – as well as the checkpoints. Fusion staff really did an excellent job. Although I may not be participating again, I am indeed motivated to push my fitness levels because after Saturday, I realise I have a long way to go! Anyway, it was a great experience in retrospect. Beautiful view. You guys should organise hikes. It showed that there are nice people out here, it was the highest level of comradeship. Not for the faint of heart but definitely a great introduction to the thrill and satisfaction of trail running. It was my first trail experience but definitely won’t be my last. Thanks to the great organisers and fantastic volunteers of Fusion! Fusion, you’ve done it again (even in this stage 1, “Lite”)…challenged beyond what I thought possible, proven the value of teams and community, and taught us that it always helps to be a little “bad mind” as the trinis would say, haha (Bad mind gives you the ability to ignore what your body may be logically telling you is impossible). This was my first Fusion experience and it was the adventure of a lifetime…grueling but equally rewarding! Fusion Lite is a fitness challenge not to be missed. This was my first fusion lite and I were able to do it in 2 hour 30 minutes pushing myself at this competitive level to even do greater things with this accomplishments. I did fusion in 2012, it really challenges your mind, body and soul. It’s definitely not for the faint hearted. But I really enjoyed the bringing together of people. The team spirit amongst all participants along the trail is so refreshing. Fusion lite I’ll definitely be back!!! I did fusion lite with my fiancé and if we could accomplish that together we can do anything! It tested our mental, emotional and physical strength! I’ll definitely be back again next year! I felt like quitting many times from pure exhaustion. My team mate and other participants motivated me to continue. I am happy that I completed it and received my medal and being able to help others who suffered the same pain. When you cross the finish line, you know more about yourself…lol..this is true. 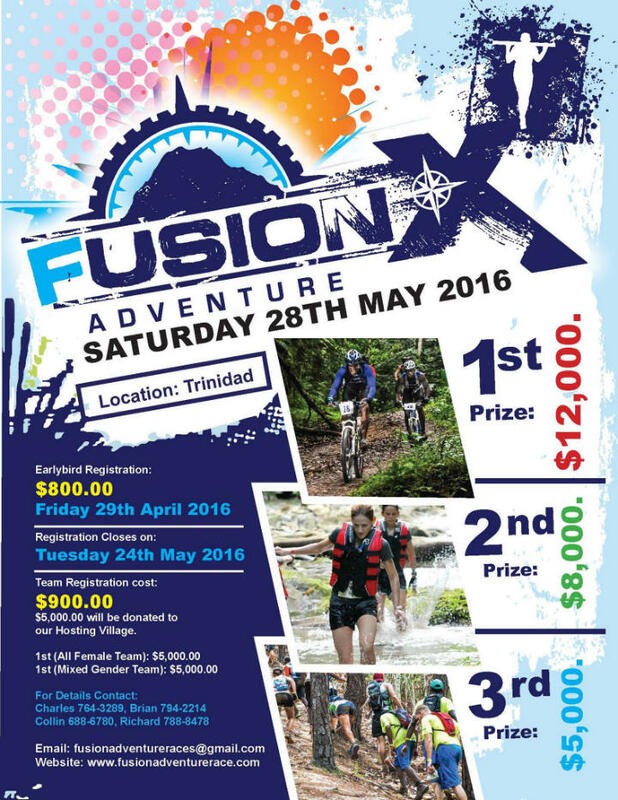 Fusion has grown to be the ultimate athletic adventure event in the country (possibly the Caribbean). It never fails to physically and mentally challenge, while remaining enjoyable. The trail was very challenging as expected. Love the suspense… My team was hyped from the time we got the news of the trail. Pure excitement!